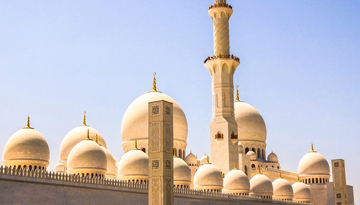 Do you like shopping, are a foodie and would like to visit the Middle East? Then, Doha is the place to go! The modern capital of Qatar is the up and coming city of the Gulf Region and a truly multicultural hub. In fact, the majority of its population are expatriates, which means that you will find amazing food from every part of the world. 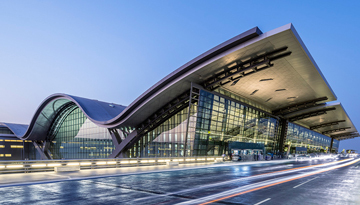 Getting to Doha from the UK is quick and convenient, with compare flights to Doha from London, Manchester, and Edinburgh, but also options from most regional airports too. Doha was founded in 1825 under the name Al-Bidda. Its name is derived from the Arabic “Ad-Dawah”, which means “the big tree” and may refer to a big tree that stood at the site of the original fishing village. Up into the early 20th century, the city’s economy depended on fishing and pearling. This only changed in the late 1930s, when oil was discovered. Today, Qatar is a major oil producer, and its rulers built a modern city with a well-developed infrastructure on the site of former Al-Bidda. This radical change is one of the reasons why a visit to Qatar's National Museum in Doha should be on top of everyone’s bucket list. It’s simply astounding to see how a small fishing village turned into a modern and vibrant city with a population of more than 1,696,563! Visit Souq Waqif to get a taste of the Middle East in action, and prepare to wander around in this renovated, beautiful Arabic market quarter for hours. The Al Koot Fort and the Clock Tower are two more historical buildings that survived Doha’s modernization and are must-sees. Round off your day with a stroll along the Corniche seaside promenade to get a pretty view of strong>Palm Tree Island and the city’s skyscrapers. If you don’t feel like walking, the many buses of the extensive public transport network, or a taxi, will bring you anywhere you want. Also, take the water taxi to The Pearl-Qatar, which is a man-made island with a luxury neighborhood and a Venice-like area, called Qanat Quartier. This extensive canal system even has a replica of Venice’s Rialto Bridge! Even though it is a copy of the real deal, you’ll be impressed for sure. There’s one activity outside of the city that you shouldn’t miss either: The Desert Safari will make your Doha trip truly unforgettable! Best book a tour with one of Qatar many tour companies and enjoy the special adventure. Being a desert city, Doha is hot year round. If you don’t want to cope with temperatures around 40° or stay indoors, travel there in winter. As more and more airlines offer cheap flight tickets to Doha it is quite easy to find cheap flights to Doha all year round. Pegasus Airlines offers flights to Doha from London cities just at low cost fares £280* includes return. 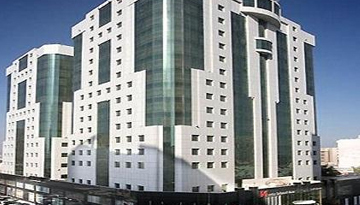 Swiss Belhotel Doha has amazing offers to make the stay happy with 4 star accommodation. Fly from London - Doha & Stay for 6 nights with 5 star accommodation. Room Only.